In this July 2, 2015, file photo, Russian metals magnate Oleg Deripaska attends Independence Day celebrations at Spaso House, the residence of the American Ambassador, in Moscow, Russia. 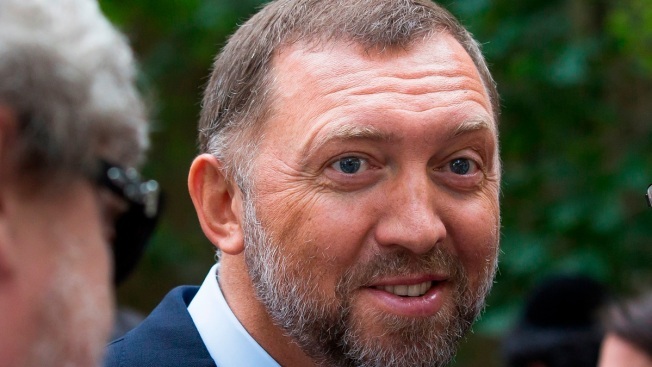 The Treasury Department on Sunday announced it was lifting sanctions on three companies connected to Russian oligarch Oleg Deripaska. The move comes despite an effort in Congress to block the action with many lawmakers concerned that the Trump administration is not being tough enough on Russian President Vladimir Putin and his allies. Treasury said it was removing Russian aluminum giant Rusal and two other companies from its sanctions list on the grounds that the companies have reduced Derapaska's direct and indirect shareholding stake in the three companies. Congress voted earlier this month to try to block the administration's efforts to remove the sanctions. In the House, 136 Republicans joined Democrats to disapprove the deal while in the Senate 11 Republicans supported the move but fell short of the 60 votes needed. The two votes represented a major break in the solid GOP backing Trump has enjoyed in his first two years as president and sent a strong signal that congressional Republicans are willing to split with the White House on national security matters. In its brief statement, Treasury said that Rusal and the other two companies, En+ Group and EuroSiobEnergo had severed Derapaska's control. "This action ensures that the majority of directors on the En+ and Rusal boards will be independent directors ... who have no business, professional or family ties to Deripaska," Treasury said. The statement also said that the companies had agreed to "unprecedented transparency for Treasury into their operations by undertaking extensive, ongoing auditing, certification and reporting requirements." Treasury Secretary Steven Mnuchin had made similar arguments during two appearances before lawmakers urging them not to vote for legislation blocking the removal of the sanctions. Treasury noted while the sanctions are being lifted on the three companies, Deripaska will remain blacklisted as part of a number of sanctions announced last April that targeted tycoons with close ties to the Kremlin. Mnuchin's appearance before House and Senate lawmakers failed to convince critics of the move. House Financial Services Chairman Maxine Waters, D-Calif., said that the United States needed to make sure "we don't align ourselves with the people who are undermining this democracy." The sanctions against Rusal had raised worries in global markets about the loss of aluminum production from the company, the world's second largest producer of aluminum.